Everything I was ever told about motherhood is true, I’m learning. 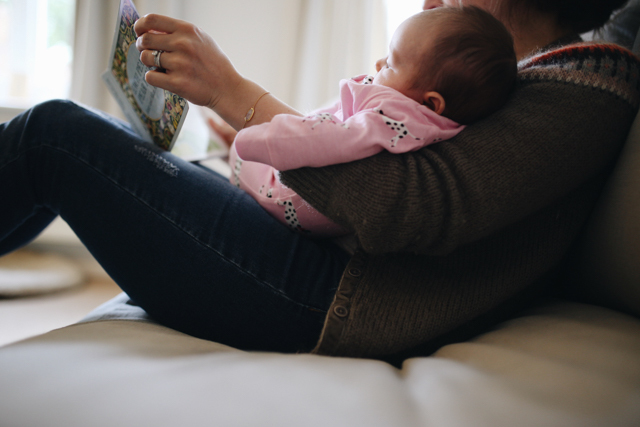 About how magical and exhausting it is, about how the love you feel for your baby grows every day, about how spot on the expression ‘long days and short years’ is starting to feel…it’s all so very accurate. Today I watched Ottilie purposefully, though clumsily, reach out her little hand to bat at a toy over and over again. 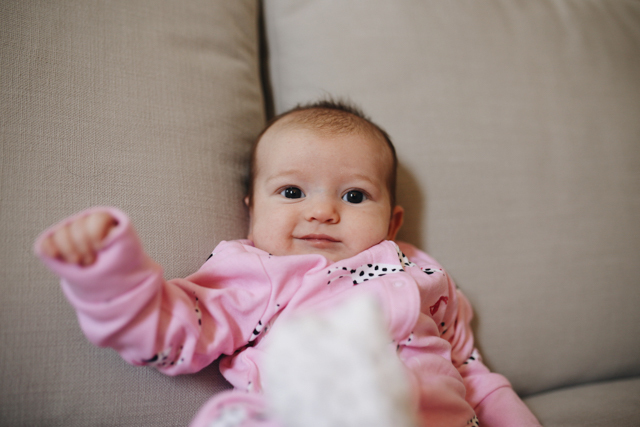 She did it at the baby group we’d been to in the morning, patting her fist down on a little patch of orange corduroy on the sensory toy I was holding in front of her, and again this afternoon she waved her fingers over and over again at her blue elephant rattle. It was the simplest thing, and yet it made me so proud and excited to see my baby begin interacting with the world around her in a new way. 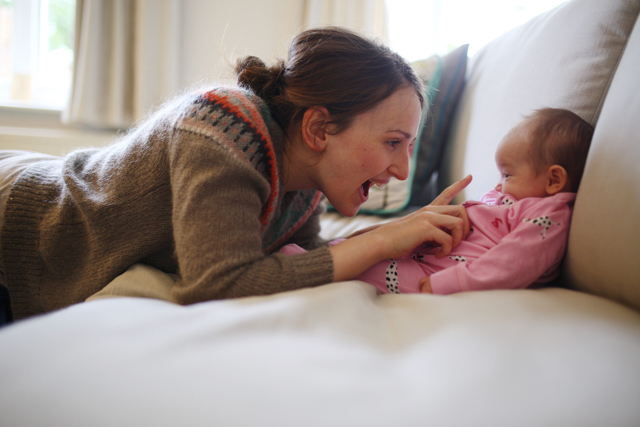 I remember feeling nervous, before I had Ottilie, that I’d be rubbish at entertaining her or that I’d feel silly or self conscious attending singing classes or baby groups with her. I didn’t get it, couldn’t possibly comprehend what it’s like to see this beautiful, innocent little being you created starting to explore the world as you lay it out in front of them. 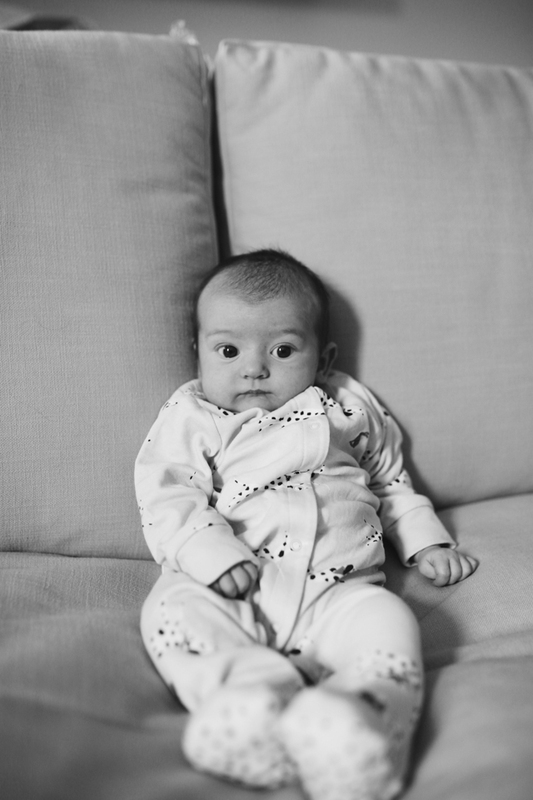 But now, as Ottilie begins to spend more and more of each day awake and alert, I treasure this time I get to spend with her and love it even more than the sweet newborn snuggles that filled our early days together. We read stories, we sing songs (‘wind the bobbin up’ always gets a big gummy smile! ), we get together with her baby playmates (the friends we made during our NCT class) and attend classes and share each other’s toys. And it all suddenly feels like it’s slotting into place! 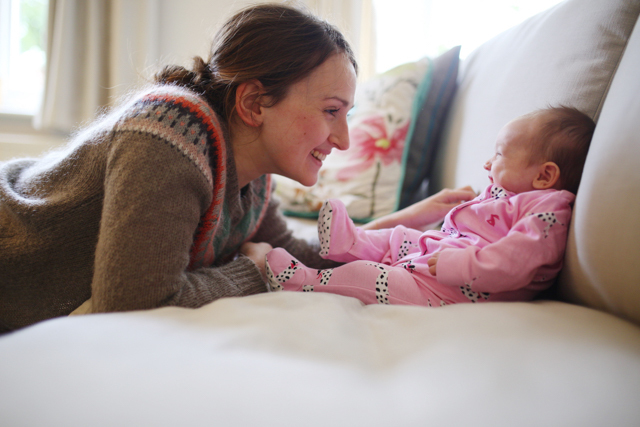 Everyone told me, before I had Ottilie, that after three months we’d feel like we were finding our feet. And now, as we edge into our third wonderful month together, I’m finding once again that it’s turning out to be true. 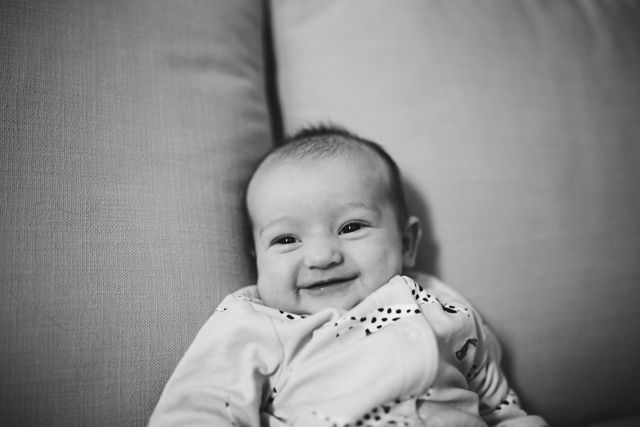 We have tricky days, and Ottilie’s cold is currently making our once easy, peaceful feeds an ordeal that test the limits of my patience as my poor baby screams inconsolably because she can’t breathe through her nose well enough to feed. Our nights vary between being as wonderful as I could expect from an eight week old baby (just one middle of the night wake up, praise be!!) to restless stretches where I spend more of my time awake and feeding than peacefully sleeping…but we’re getting there. It’s beautiful, and tiring, and emotional, and magical, and gruelling, and I don’t think I’ve ever been happier or as in love.